I think all of us battle fighting judgments, preconceptions… whether it is assuming qualities of an acquaintance based simply on appearance or background, or about a wine from a certain region. I can’t blame anyone for trying to sum up people or things as quickly as we can because it may be a way to connect, or protect ourselves, or live in the denial that we are in control. 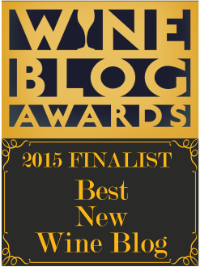 But what does our anticipation of a person, situation or even wine cost us? Do we wind up never living in the moment? Never really get a good sense of a person or a wine because our experience is always filtered through our own baggage? It is always nice when someone or something shows us that the world is a lot more wondrous than we could have ever imagined…life offers surprises until our last breath. It typically takes a while to get comfortable with a stranger, but sometimes a bad start to the day could potentially give two people a chance to connect past the formalities and measured tendencies of a first encounter. This was true for my encounter with Kim Longbottom, the owner of Henry’s Drive, who had the nearly impossible task of trying to go from uptown Manhattan, in New York City, to downtown, during the St. Patrick’s Day Parade. (A side note, in NYC, many firemen/women and police officers have Irish ancestry, and so, a big section of the city is blocked off for all the precincts to march.) Kim was certainly overwhelmed when I met her for lunch at Benjamin Steak House, as she was coming from a nightmare Uber ride, dragging her suitcases with her as she was heading directly to the airport immediately following our meeting. What struck me about Kim was that although she certainly could have allowed herself to indulge in some self pity regarding her horrible day, she instantly showed concern for me and all those around her. Later, she spoke about her daughter, who was a college student, as well as her friends. This thoughtfulness and her innate attention for detail was woven throughout each of her wines. 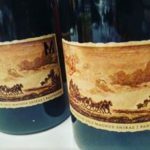 Kim’s wines have a subtlety, elegance and sophistication that was nurturing and gave just the right amount of generosity – not too overbearing, not too austere. Kim and her third-generation pastoralist husband, Mark Longbottom, planted their vineyards in Padthaway, Australia, in 1992. Although she originates from the famed wine region of Marlborough, New Zealand, her wine style is distinctively her own. With the unfortunate passing of her husband in 2010, she was left with taking over Henry’s Drive on her own. She is one of the few women who is the sole owner of a winery of significant size in Australia. It was also interesting to learn that she recently hired a new winemaker, Andrew Miller. A few years ago, via email, I had reached out to Andrew for help in understanding the process of winemaking, and he was a great help. 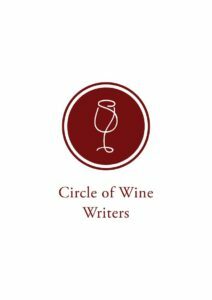 Andrew has an impressive resume, as he previously worked for a top wine corporation, flying around the world giving his expert opinion on various wineries in different regions – but when I contacted him, he couldn’t be more down to earth and just seemed to be a compassionate type of person. 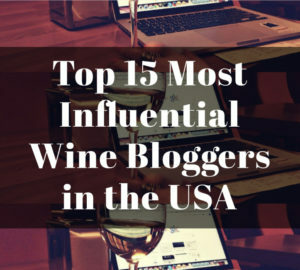 When I mentioned to Kim that I had that connection with him, she admitted that she was initially a little concerned that he would not be happy working for a single winery after working for such a huge conglomerate. But when she talked to people who knew him, they said they could see him wanting a change, which ended up being true as he now gets the chance to focus his energies and astute nature on directly making wines himself, as well as the added benefit of spending more time with his family. 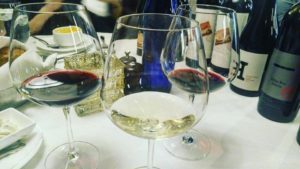 It is natural, through time, to get bogged down by the daily rat race of life…perhaps we start to feel that everyone around us just wants to use us, compete with us, or in this case, that many of the wines we taste seem the same. We get to a point where there is nothing interesting, or exciting about life anymore. But it is good to keep in mind that there are people who are authentic around us, with opportunities to connect on a deeper level. 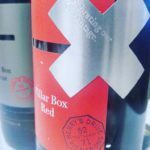 Just as there are Australian wines that are surprisingly refined in their elegance, we just need the courage to open ourselves to the experience so we may recognize them and shout about their existence to the world. 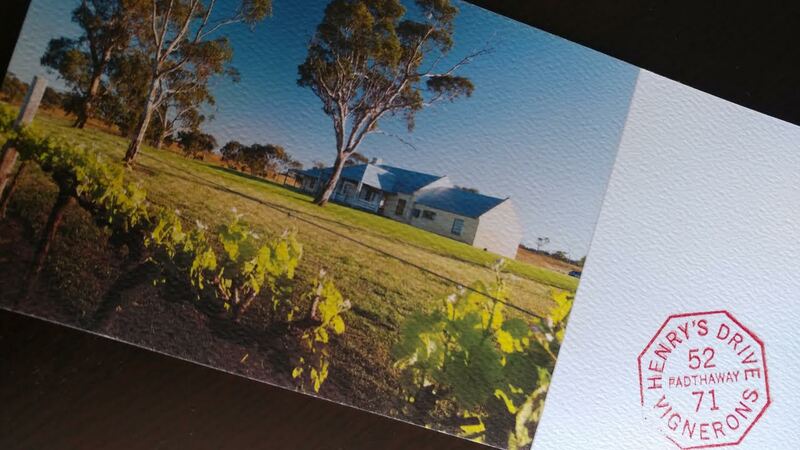 All of the wines are from Padthaway, which is part of the Limestone Coast in the South East area of South Australia. It is considered to be a moderately cool grape-growing area that is known to produce long-lived wines of high quality. There are less than a dozen wine producers in Padthaway. Their soils are predominantly limestone with a top soil of red loam “terra rossa”. The Pillar Box line, which was unveiled in the 2005 vintage, is named for the red Pillar Boxes (mailboxes) that first appeared in the Padthaway region in the 1850s. This line was designed in 2005 to make affordable, accessible wines that expressed the elegance and freshness of the Henry’s Drive style. –2015 Pillar Box Red (10th Vintage): 70% Shiraz and 30% Cabernet Sauvignon. 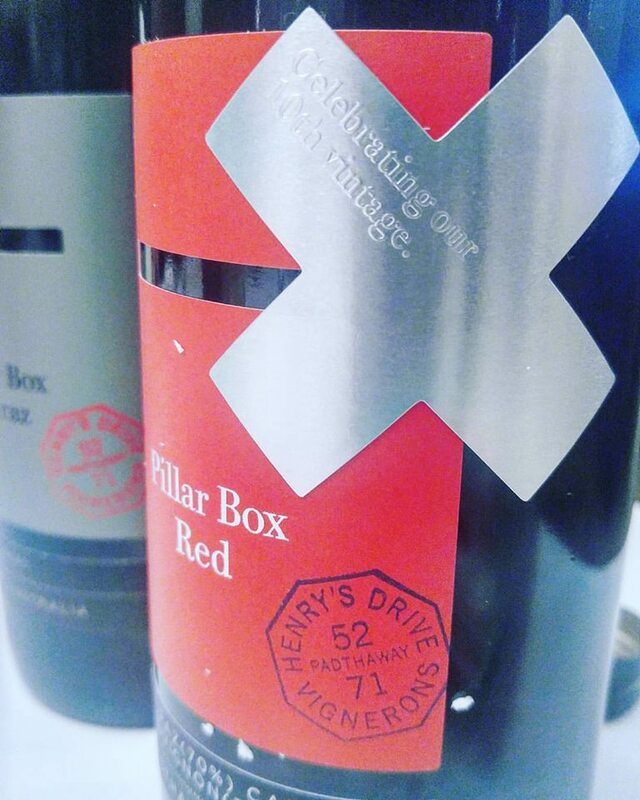 The X on the label celebrates the 10th vintage. Fresh black currant with mint and hints of cinnamon that has round tannins and a bright finish. Fruit was sourced from Henry’s Drive’s Padthaway vineyards. 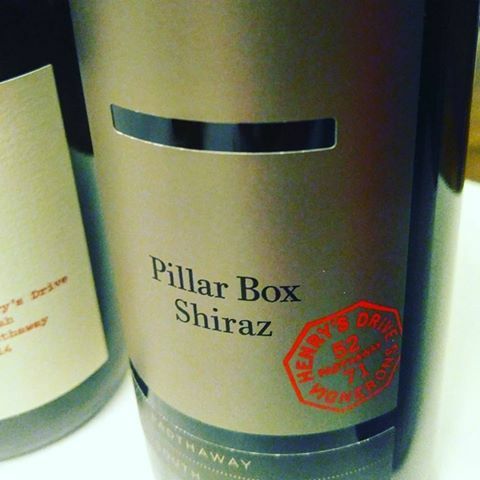 –2015 Pillar Box Shiraz: 100% Shiraz. This wine, just like the one before, has great restraint. Lovely notes of espresso, dried herbs and spice that were delivered with fleshy goodness, yet it was fresh with a good structure that was simply delightful. Fruit was sourced from various sites across the Longbottom family vineyards. 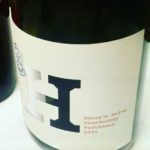 In 2014 Kim started the “H” line of wines that were created to show an even more subtle version of varieties paying homage to the French origins of these wines. –2014 Henry’s Drive “H” Chardonnay: 100% Chardonnay. I had this Chardonnay first but wanted to place it in my notes after the Pillar Box so I could keep all the Henry’s Drive wines together. A long time ago, I was turned off of New World Chardonnays, but there are some that I have been having lately that are re-igniting my love for them. This is one of them! Kim talked about how she loved a more graceful, fresh style and this certainly was the epitome of grace and charm. 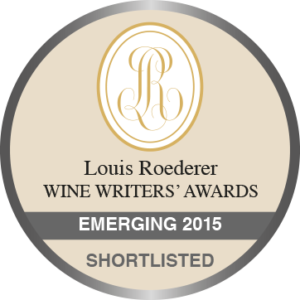 Golden apple with delicate layers of almond paste, spice and marked acidity with beautifully integrated oak. Fruit harvested from Henry’s Drive’s hillside vineyards. Only 383 cases made. 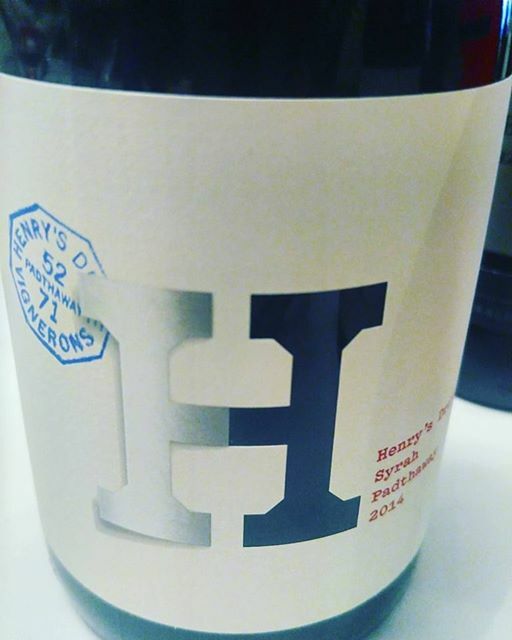 –2014 Henry’s Drive “H” Syrah: 100% Syrah. Vivid flavors of rhubarb, with rosemary and sweet tobacco, carried by fine tannins and a great energy that gives this wine a nice lift. Fruit harvested from the Henry’s Drive hillside vineyards that have deep, sandy loam over thick limestone terroir. Only 272 cases made. The Henry’s Drive is their premium line from some of their top plots. The postal theme is carried throughout with the label showing a depiction of a postage stamp created in the 1950s. Henry’s Drive’s name honors Henry John Hill, proprietor of the 19th century mail coach service that once ran through a piece of property that is currently owned by the Longbottom family. 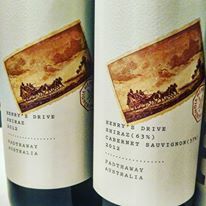 –2012 Henry’s Drive Shiraz/Cabernet Sauvignon: 65% Shiraz and 35% Cabernet Sauvignon. This is one of Kim’s favorite wines and I can see why. It has decadence with a flavor of cocoa nib that is balanced by dusty earth and a body that envelopes you with a big, warm hug, yet it is secure with its firm grip. 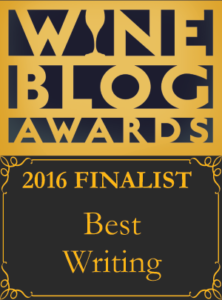 It was nice to see two heavy hitters like Shiraz and Cabernet dance so seamlessly together – neither dominating the other. Fruit sourced from vineyards with soils that have red loam over limestone in Henry’s Drive’s vineyards in Padthaway. Only 735 cases made. 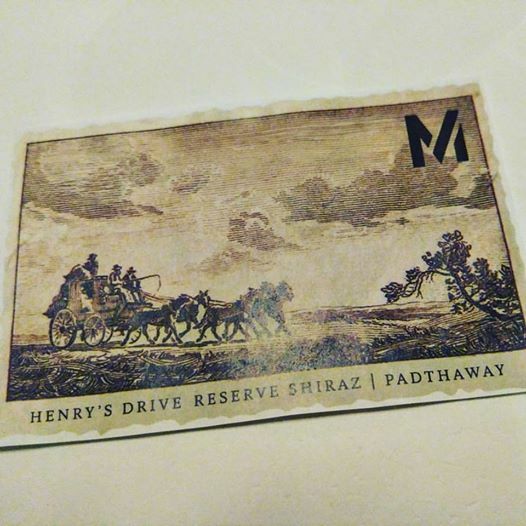 –2012 Henry’s Drive Shiraz: 100% Shiraz. An intoxicating smoky minerality with blueberry compote and allspice. The acidity is simply stunning on such a generous wine and gives it an invigorating shape that brings you back for more. This wine comes from red loam and limestone soils in the Henry’s Drive vineyards. Only 785 cases made. 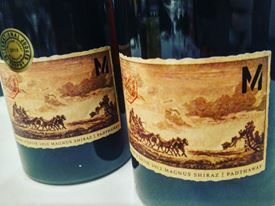 Magnus Shiraz is sourced from a unique site situated on the hillside within the Longbottom family vineyards in Padthaway. The vineyard was planted by Kim’s late husband in 1996 and he uniquely planted the vines in pairs – their trunks twisting around each other. Only 496 cases made (six-bottle cases). 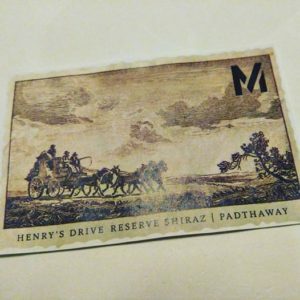 –2012 Henry’s Drive Magnus Shiraz: 100% Shiraz. 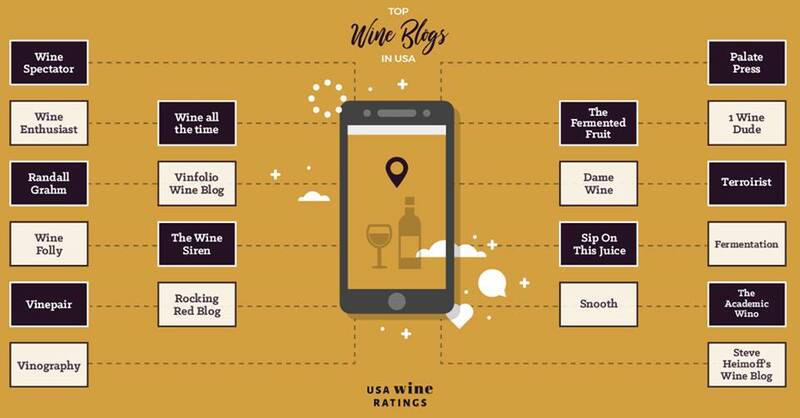 Kim said they started picking the fruit earlier, as well as aging it longer in fine grained French oak, giving it more overall poise and refinement that gives a real sense of definition to this opulent wine. They sold off the fruit for the 2011 since it did not reach Kim’s extremely high standards, and hence, why we tasted the 2012 and 2010. 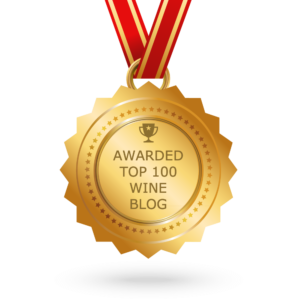 The 2012 had a much more lively impression with evident acidity, with hints of eucalyptus, lavender and star anise dancing about… a wine that offers some serious muscle as well as great intellectual contemplation… such as Sherlock Holmes. A true renaissance wine! 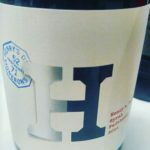 –2010 Henry’s Drive Magnus Shiraz: 100% Shiraz. 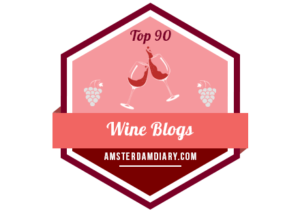 The 2010 is a richer, more textured wine that is grounded with dark wild berries intermingled with toasted coriander seeds and thai basil. 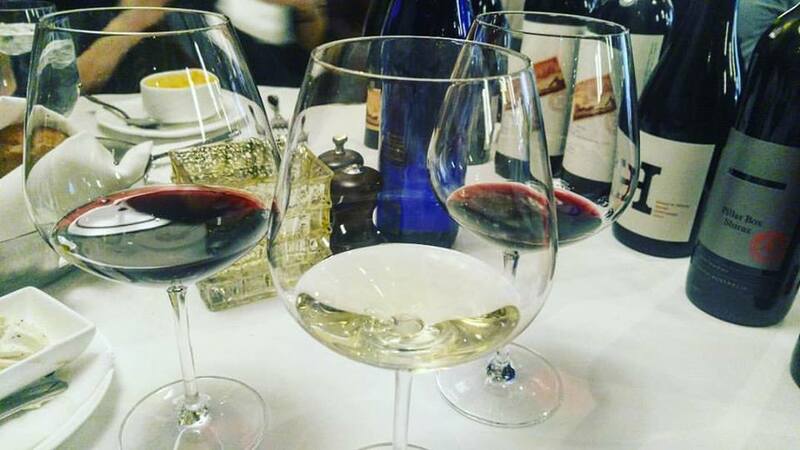 Although this wine is more concentrated with broader shoulders, it still has a linear energy that gives this wine class and style on its prolonged finish. This entry was posted in Uncategorized and tagged Australia, Courage, Henry's Drive, Limestone Coast, Padthaway, Pillar Box. Bookmark the permalink.